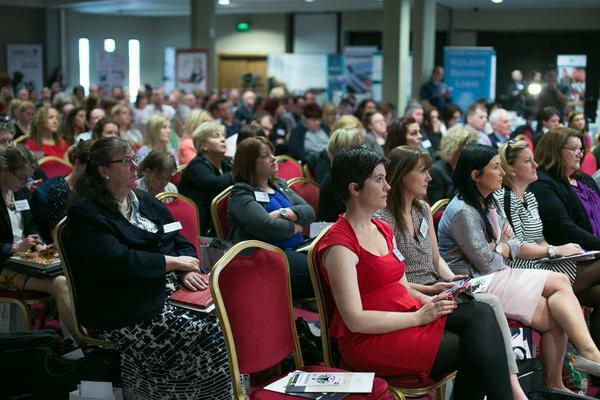 Fabulous Woman – #bizpartyinspires conference and the power of twitter! I went off to the Bizpartyinspires conference in Dublin not really knowing what to expect. I came away with so much, having learnt, networked and become inspired. Especially by lots of fabulous women. As you all know I am fascinated by fabulousness, and meeting fabulous woman was a real gift. I attended the conference for work, but was gifted with so much more. Let me start my story with the night I arrived. I reached the hotel and was so very very tired, with sore feet. After checking into my room, I sat on the bed and realised that my first priority was to quench my thirst and eat something. I wondered about going down to the bar area on my own. Being a new twitter addict I checked twitter, and there it was, a tweet from the Tweeting Goddess herself, along with a photo of smiley people inviting anyone arriving to join them. How nice is that? I was welcomed warmly and made to feel like I had immediately made good friends. That evening I met three woman who inspired me right off, and continued to do so the next day. I would like to tell you about these fabulous ladies. Samantha Kelly, the founder of Irishbizparty is so down to earth and genuine. After a few minutes in her company, and you know that Sam has great empathy. She is a connector, and has helped so many individuals and companies. I know this, not because I read it on the website, but because I saw it in the way Samantha interacts with people, and in the amazing success of the event. A fabulous woman who started a twitter tidal wave in her pyjamas! She truly is a Tweeting Goddess. Mairead Healy, the second of the fabulous woman I met is a singer extrodinaire! I didn’t know this when I met her, we started chatting, and then she mentioned that she sang. Nice, I thought in my head. Mairead is a wonderful woman, a teacher and a monther, who started using Twitter before allowing her daughter a twitter account. Just after lunch, a new Mairead appeared, beautifully dressed in singing clothes, she stood before us. The most magnificent soprano voice filled the room, and transported me. I always say that art and music is judged on how it makes you feel. This touched my heart and soul. Take a listen here. Carol Brill, was the third fabulous woman I met. I could probably dedicate a full blog post to Carol’s story and how inspirational this lady is. When I met her in the pub, I simply met a beautiful woman. As the evening went on, I discovered that Carol has Usher syndrome – Usher syndrome is a genetic condition that causes both hearing loss and progressive deterioration in vision due to retinitis pigmentosa (RP). Over my visit I got to know Carol and although at this stage I hadn’t heard her presentation, I was already inspired by this brave woman who put her daughter first. Carol only has 3 percent of her vision left, and the Irishbizparty has raised funds so that Carol and her daughter Sara can see Disney in July this year! Carol’s presentation at the conference blew me away. In fact it blew everyone away. As she spoke about being diagnosed with Usher Syndrome and the journey she has travelled on, there were a few sniffles around the room. Carol does not ask for sympathy or attention, she simply tells a story with sincerity, humour and humility. Please visit her website at Seeing Disney. I went to the conference to learn about social media and especially Twitter. I learnt all of that but I also came away inspired by these woman. Being honest, there were many other fabulous woman too, but these three stood out for me. Thanks for reading, and please visit the links. « The Liebster Award – time to learn a little more about me! Oh Definitely. Thanks for the comment! Lovely piece about your experience and would have to agree about these women. I just wish I could have met even more woman. There was so much fabulousness out there!